One of the many great reasons to attend the Tcl conference is the tutorials presented by renowned leaders and experts in the Tcl community. They will be sharing with you their knowledge of Tcl/Tk and its extensions, and experience in developing large, versatile and robust applications - information and techniques which will assist you in your day-to-day Tcl programming needs. 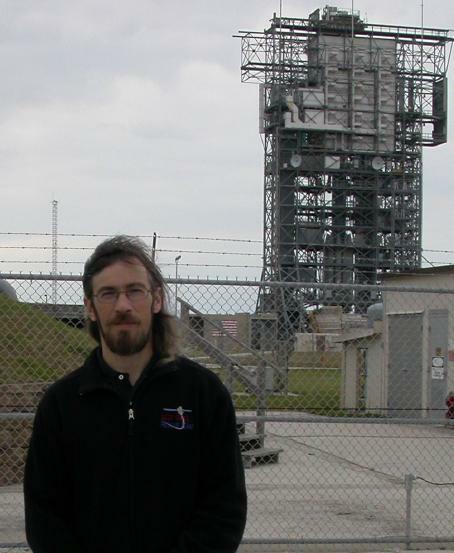 Steve Collins is an attitude control system engineer at NASA's Jet Propulsion Laboratory. He has been a flight team member on Mars Observer, Galileo, Deep Space One, MER and most recently, NASA's Deep Impact mission to blow a hole in the comet Tempel 1. Steve is responsible for keeping the spacecraft pointed in the right direction, making trajectory corrections and figuring out "what the heck just happened??" Steve tends to build his tools using C and TCL and likes crisp interfaces and simple-minded code. Steve has degrees in Physics and Theatre Arts from UC Santa Cruz. When he's not flying spacecraft around the solar system, he can be found on the soccer field, playing Theremin in the rock band "Artichoke" or performing in one of Caltech's Shakespeare productions. As part of John Ousterhout's team at UCB, Brent Welch has been writing Tcl code since before Tcl formally existed. He wrote the exmh E-Mail reader, portions of the Tcl and Tk interpreters, the best selling book Practical Programming in Tcl and Tk, the Tclhttpd package and more. D. Richard Hipp has developed many Tcl tools including a table widget, html display widget, mkTclApp, and TOBE. He's been a member of the Core Team since its creation. Bruce Johnson is the author of the Swank GUI toolkit and is the Founder and President of One Moon Scientific, Inc. a company specializing in developing tools and applications for scientific data analysis. Prior to One Moon Scientific, Inc., Bruce was a Senior Research Fellow at Merck & Co., Inc. During his 15 year career at Merck he specialized in applying the methods of structural biology, molecular modeling, and cheminformatics to research in drug discovery. At Merck, Dr. Johnson used Tcl/Tk and Jacl/Swank in a wide range of applications. These included: scientific data analysis and visualization, laboratory robot control, Oracle database access, and client-server applications in a high performance computing environment. NMRViewJ, which is the flagship product of One Moon Scientific, Inc., uses Java, Jacl and Swank to provide advanced visualization and analysis of of data from scientific instruments. Clif Flynt has been a professional programmer since 1978, and a Tcl advocate since 1993. His dual interests in programming and teaching have led him to developing both scientific and business software, teaching at Grinnell College, writing about Tcl/Tk and delivering Tcl/Tk corporate training. Clif's Tcl projects include TclTutor, a computer based instruction package, The book Tcl/Tk:A Developer's Guide from Morgan Kauffman, and regular Tclsh Spot articles for ;login: magazine. Jeff Hobbs (Mr. Tclguy) is the Core Release Manager for the Tcl language. He has maintained the TK Usage FAQ since 1996. Jeff is the technical lead for Tcl technologies at ActiveState. Previously, he was the Tcl Ambassador at Scriptics, maintaining communications between the Tcl community and Scriptics and managing development of the Tcl core. Jeff is probably responsible for more Tcl bug fixes than anyone else and is a co-author of Practical Programming in Tcl and Tk (Fourth Edition), published by Prentice Hall. Gerald Lester has been giving tutorials at conferences for over 20 years. Gerald works for HMS Software as a Senior Implementation Engineer, prior to that he had worked for Computerized Processes Unlimited for over 15 years where he was one of the early adapters of Tcl/Tk and presented a paper at first Tcl/Tk Conference (then called the Tcl/Tk Workshop) about the first "large" Tcl/Tk application (~300,000 lines of Tcl/Tk code). Gerald has been on the Tcl/Tk Conference Committee numerous times is has twice chaired the conference. Gerald is one of the maintainers for both TclHttpd and TclLib. Ken Jones, President of Avia Training and Consulting, has hundreds of in-class hours teaching advanced technical topics, and almost 20 years experience in technical training and documentation targeted towards software developers. Prior to founding Avia, Ken was lead instructor at Ajuba Solutions (formerly Scriptics), which provided advanced business-to-business e-commerce solutions based on XML and Tcl. While at Ajuba Solutions, Ken worked with John Ousterhout, the creator of Tcl, Brent Welch, author of Practical Programming in Tcl and Tk, and other key developers of the Tcl language. Ken also has worked for companies including Borland, Silicon Graphics, and Sybase where he specialized in products for creating graphical user interfaces and for providing database connectivity. Steve Landers is the Senior Consultant at Digital Smarties. He is active within the Tcl/Tk community, where he regularly contributes both software and expertise. He has a particular interest in the development of cross-platform scripted applications, and is a leading proponent of Tclkit, Starkit, Starpacks and Metakit for developing complex and robust cross-platform applications. Steve has over twenty years experience in the Open Software marketplace, being a founding member of both AUUG (the Australian Open Systems User Group) and SAGE-AU (the Systems Administrators Guild of Australia). He was a pioneer of the commercial application of the UNIX operating system and relational database technology in Australia during the early 1980's implementing the first commercial Unix/Oracle installation in the country. He was a founder and technical director of Functional Software - one of Australia's most successful software development companies, whose COSMOS products and technology are used worldwide in the management of large IT installations. Steve regularly speaks at conferences, both in Australia and internationally. He has spoken at a number of SAGE-AU and AUUG annual conferences, and was a speaker at the Tcl2001 And Tcl2002 conferences. Will Duquette is the author of the well-known "Will's Guide to Namespaces and Packages" and "Will's Guide to Object Commands", the Notebook personal wiki application, and the Snit object and widget framework. When not working on Snit, Notebook, and suchlike projects, he's a software engineer responsible for more projects than are easily mentioned.